Free standalone HTML website builder allowing almost anybody to build a great looking mobile-friendly website with confidence and speed without touching the code. Perfect for experts in other fields needing great website without knowledge in web design, web designers needing some freedom to create, programmers in need of fast prototypes of their pages. Free for personal and commercial use – no hidden trials and expenses. 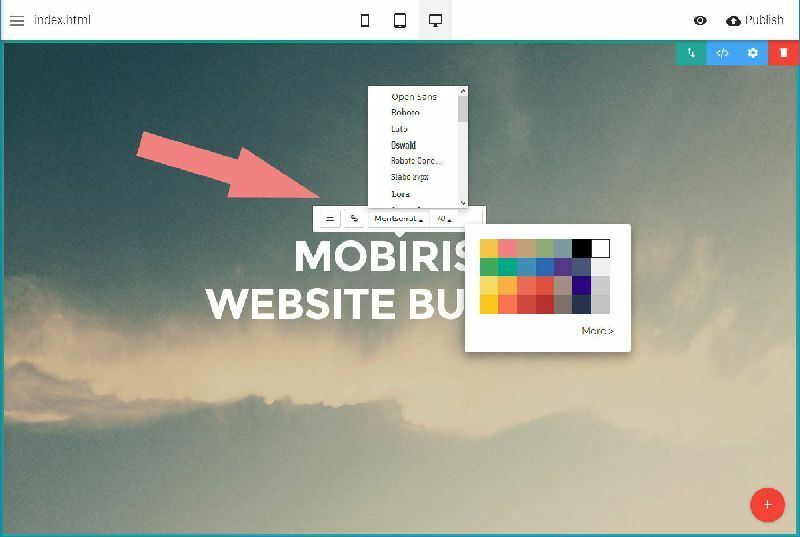 THIS HTML WEBSITE MAKER IS FREE! Free website maker comes free of charge for both personal or commercial use - forever. No hidden trial rules applied or unwanted branding added to the websites you created with it. Stay calm using it for yourself or your clients – no surprising charges will get applied. Easy and intuitive interface. No need for taking long and expensive courses. If you can work with an ordinary office text editor – you can create your first website in a day. Create SEO-friendly websites without even knowing you’re doing it. Just pour in your content and the Builder will take care of the rest. Create amazing websites without knowing or writing a single line of code. Add your content as you would in a regular office document and enjoy it being displayed beautifully on the web without touching the code. Locate your business with the easy to use and impressive google maps blocks – just type in the address and the map block will do the rest. Stay connected with your users with the easy to set up with a few clicks forms. Freely select your favorite form handler or benefit the out of the box form handling solution requiring only your email. Images and YouTube hosted videos have never been easier for adding. Just point to the appropriate content and the Builder will take care of the details producing perfectly arranged content. Show off with your great new site to your friends with the built-in sharing functionality covering all the most popular social network platforms. Give some life to your content with the html5 video background feature available for almost any block. Add a clip as a background just providing its YouTube link. Add some depth with the bootstrap parallax background feature with just the flip of a switch. Dim it with a color and opacity of your choice, the overlay feature, with just a few clicks. Design your site and see it displaying beautifully on any type of device. Switch between Desktop, Tablet and Mobile view anytime you want during the process to keep track of all the appearances.Your site should pass a google mobile friendly test. No bounding rules about your hosting. The content created with HTML Website Maker displays correctly wherever you place it. You can publish it locally, upload with you favorite FTP client or utilize the built-in upload to FTP functionality, try Github pages as well. 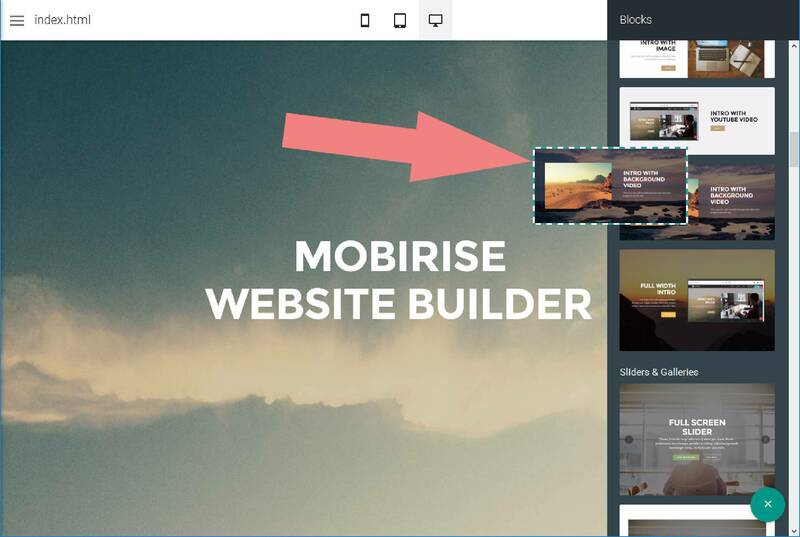 Build your site when and wherever you want. The magic happens on your computer and no permanent internet connection is required for that. Preview your site locally as many times you want. Check top 10 website builder list. Create as many sites you want, include in them as many pages you need. In Visual Site Maker there are no hidden limitations. The Builder engine is strong and well designed for carrying out multiple heavy pages per project. See the magic happening and always keep track of all the possible appearances without even leaving your Visual Maker with the way pages are being designed. Switch your workspace between Mobile, Tablet and Desktop view anytime you want. 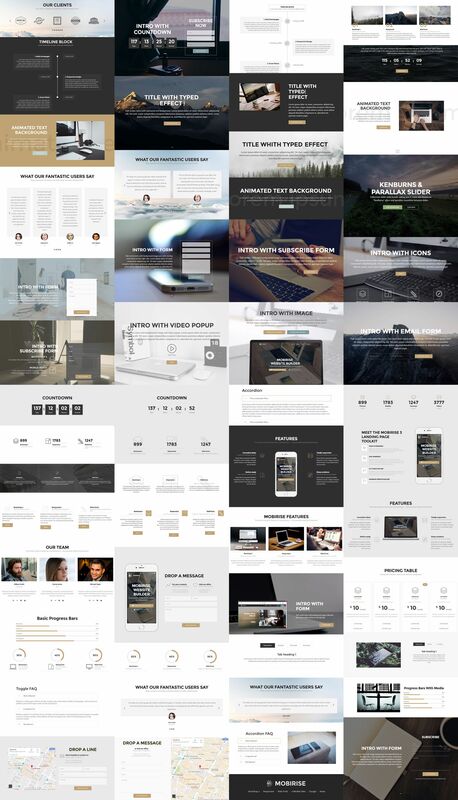 It's free for both non-profit and commercial sites, create responsive sites in few minutes! No need to be a designer to create a beautiful and consistent site with HTML Website Maker. Just pick up bootstrap free templates best suiting your taste – all the blocks inside it follow the same line in appearance. Change the entire vision easily with the built-in style editor functionality in just a few clicks. Use it freely on your PC or Mac. Share your projects with your friends and colleagues without worrying what type of OS they are using. Creating great mobile friendly websites will soon be available directly on the mobile device – iOs and Android versions are coming! 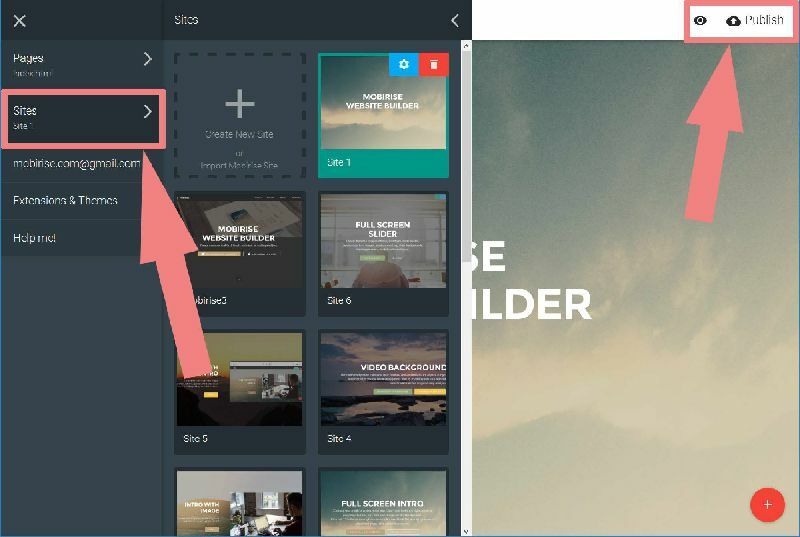 Have your images loaded swiftly and displayed beautifully with Easy Website Maker. No need to optimize each one before including it in your project – we’ve got you covered. If you want to include your image as is without optimizing – you can too. The intuitive and simple interface available for each block gives you the ability of setting multiple options and transform it almost entirely to fit your vision. Experiment with different settings and see them immediately reflected on the block without leaving the settings. Change the entire appearance of your website with just a few clicks at any phase of its creation. Main and secondary colors and fonts can be changed at any time for the whole project from the Style Changer. Leverage the latest version of the most popular and beloved responsive framework. The sites created with HTML Website Maker, one of the top website builders, are Bootstrap powered. Obtain fancy look for your websites like they were built from a pro with the animations feature of HTML Website Maker. Animate the behavior or your sites elements with just a simple flip of a switch. Google has a highly exhaustive list of fonts compiled into its web font platform and Website Maker bootstrap builder makes it easy for you to use them on your website easily and freely. Clarify your content with the help of the thousands of Icons ready and waiting to be added to your site. There are icons for any type of occasion and vision – entirely customizable. Expand the Website Maker functionality with the multiple extensions available and more of them coming. Just pick up the ones you need and add them to be used in all your projects. 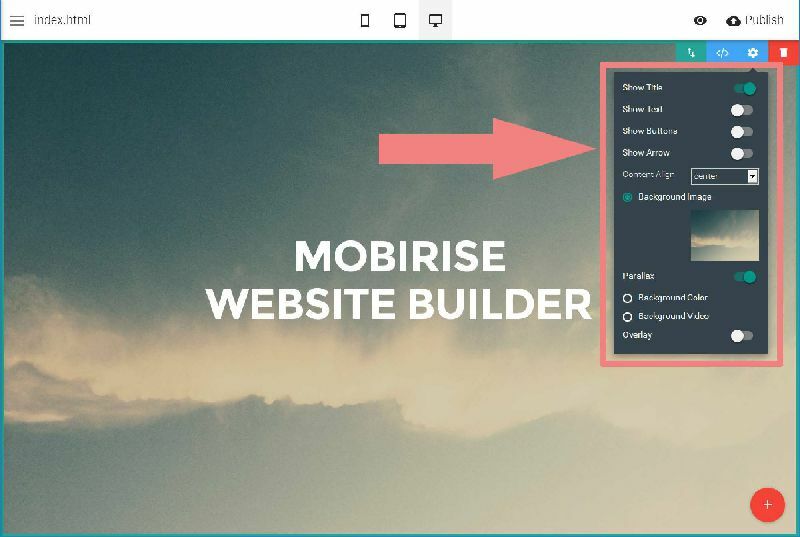 Website builder gives options to manage blocks and save them for later, clone them and use again. Also, you can clone your page within a project. Project copies can be re-exported and edited separately. Utilize the latest trends in web design with the predefined blocks – ready and waiting for you to put it on your new website. Just pick up the ones suiting best your vision and pour in the content. Сreate a beautiful carousel bootstrap with your own images just adding them as you would attach them to an email. Add caption, content, and some buttons if you need to. Add an awesome bootstrap image gallery with your own pictures, click on thumbnails to open the lightbox. Add caption, content, and some buttons if you need to. Set up your mobile menu navigation once and enjoy it being spread all over your pages transforming beautifully to obtain the best website maker appearance on any device. Create the navigation best fitting your site’s structure with the dropdown functionality. Leverage the latest trends in navigation appearance as sticky, transparent, fixed to page top or fly out even on a desktop. Impressive introduction elements scaling properly to fit any device’s screen styled in various ways to make the best first impression of your product. Express your thoughts and opinions like you would on a piece of paper benefitting the multiple columns layouts, headings, text with image aside and quote blocks. Share what the others think about you in a fancy and expressive way. Pick up between multiple and single testimonials in a row regarding the length of the content. Name your price with the powerful and rich of features predefined pricing tables. Set the accent where you think it should be. Add your Facebook or Tweeter feed right in your new website with just dragging the block out and placing the link to your social page. Let the others share their thoughts at once benefitting their social network profiles – no registration needed. Include your tracking code from Google and any other favorite snippets you might have. All you’ll need is to paste them and they are ready to go. Adding it has never been easier – just compose what you need displayed each time user visits your site and you’re good to go. Use it with any content you find appropriate. Add your favorite songs to your website with just pasting the link to them – the builder will do the rest. Make sure users always can get to the point they started from with the scroll to top button appearing on your site with just a simple switch in the Style Panel. Achieve almost anything with this easy to use and reliable tool. Add minor styling changes without losing the customizing options or create your own blocks using all the snippets from the predefined ones or creating your own. Achieve thousands of smashing image slider appearances with just adding your images and setting the appropriate styling options. Take some inspiration if needed from the large gallery of predefined layouts in case you’re in a hurry and just want something ready to go. More than 5000 expressive icons library ready to deliver upon any request. All the popular icon fonts gathered in one place with a full set of customization options fitting any style and appearance. Create a small web store on the fly. Arrange everything exactly the way you find it fitting best turning any link you need into a purchase button. Setup your storefront with a single block and fill in your products details as you would in a regular document. Obtain subtle and romantic appearance for your content. Powered by the latest Bootstrap 4 framework this theme is being made to last. Showcase your content in multiple and expressive ways. Create a serious, fast and professional looking site for your business with the minimal and balanced layout specially designed for this purpose. Use the Red Plus button in the lower right corner to bring out the block panel and chose the blocks you need. You can move and delete freely any block with the Green Arrows and the Red Trash buttons appearing in its top-right corner. Change the entire appearance thought the Style Editor – the Blue Brush over the Plus Button at any time. When you decide you need an extra page – just add one from Hamburger > Pages or duplicate existing page through the Green Copy button next to page’s name. Change the view between Desktop, Tablet and Mobile, preview or publish your work at any time with the buttons in the white top bar. You don't need flash to view this slideshow. Use numerous of splendid effects to show your pictures. Create a slideshow and start photo sharing with your friends and family today. Visual SlideShow is available for Windows and Mac; it is translated by volunteers to 25 languages! Flickr and Photobucket support. Add flickr or photobucket album or a single photo to your gallery! "Auto Loop" option. If unchecked, the slideshow plays only one loop and stops at first slide. 'Insert to page' wizard is added. Inserting a gallery to page becomes easier. "Insert to Page" wizard opens a page in a browser view and you simply click inside the page to select where you want the gallery to appear and press "Insert Before". No more HTML editing required! Notice: It's impossible to insert more than one slideshow into the same page! Mobile Website Maker v1.0 - First Release! After having tested your free version of Visual Slideshow I'm interested in buying the license. I believe your product creates a quick and easy workflow. Hi I am very interested in your product. I am testing it on a web site I am trying to complete, but after I loaded everything to the server the slider images display in a column. I purchased the unlimited version of Visual Slideshow and I am trying to do 2 different slide shows on the same website but different pages and it is not allowing me to have 2 different sizes for each page. What is the issue. Hello, I have saved all my slideshows on my computer. Recently I changed computers, I transferred all the Project files/Galleries to the new computer. On the new computer I can still see the slideshow name, I can see f.i. Is it possible to add a link to images in a slideshow? I'm working with a florist who wants to be able for people to click on a floral arrangement to pay and order. Please let me know. I'm trying yours slideshow program but I can't display "portrait" pictures correctly. What I’m doing wrong? Copyright (c) 2019 Visual HTML Website Maker.